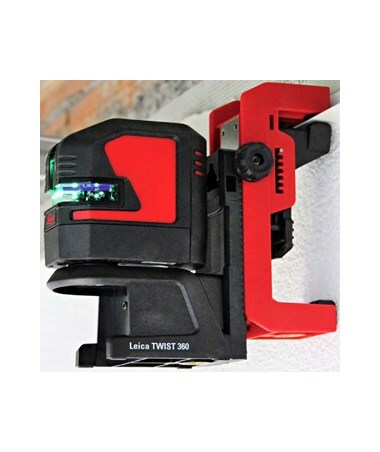 The UAL 130 Wall Mount Adapter for Leica Lino Lasers is a great addition to any construction leveling tools by providing a smart support for the installation of suspended ceilings. It features a clamp that allows it to easily attach to tracks and bars of up to 30 millimeters thick for a quick leveling setup. It has a big gear wheel that provides a 130 millimeter flexible and quick height adjustment. 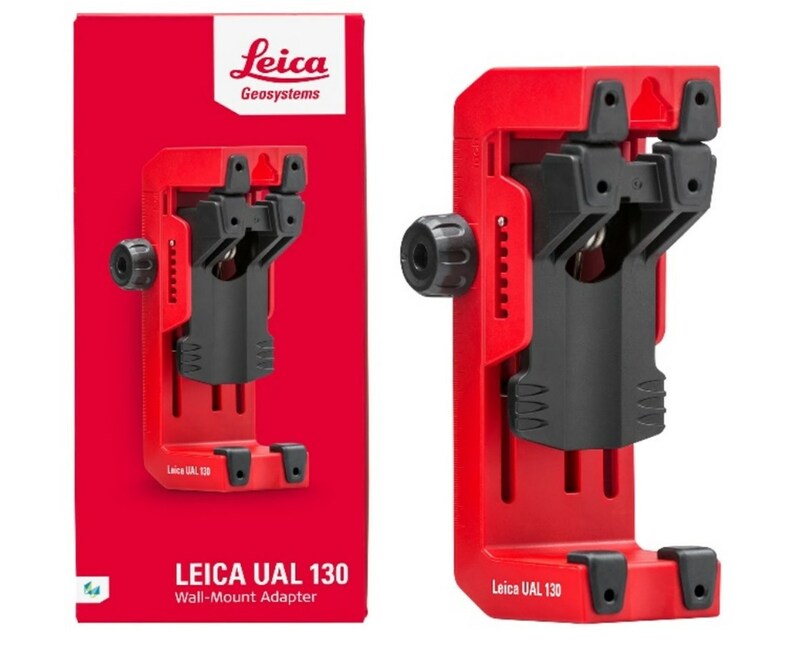 This adapter includes 1/4 and 5/8-inch tripod thread as a standard and has special big slots for zip tie or nail attachment. It is made to withstand harsh outdoor and construction conditions. It is dust and splash water resistant with the protection class IP 54 and is drop tested up to 6.5 feet. 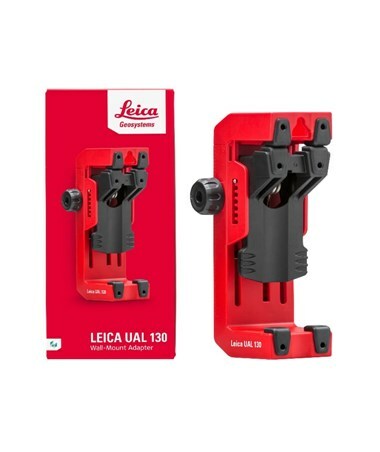 This universal wall adapter is also compatible with Leica Twist 250 and 360 magnetic adapters.